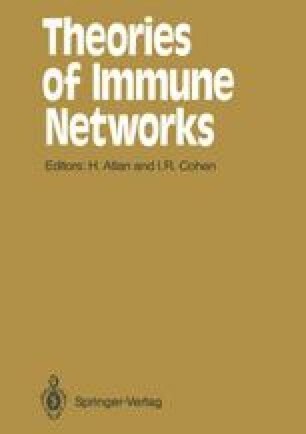 The arguments exchanged during this meeting give a strong evidence that the debate about the existence and biological function of the immune network proposed by N. Jerne  is certainly not settled. Although the existence of idiotypic interactions is well established by experimental data, part of the debate focuses on the too simplistic dynamical properties of mathematical models supposed to take into account the most important aspects of idiotypic interactions . The purpose of this intervention is to remind you that our present knowledge about networks of automata enables us to present discrete mathematical models which exhibit enough dynamical complexity to overcome the apparent paradoxes presented by the opponents to the idea of a functional immune network.